Dentists get a bad rap. Perhaps some of them deserve it, but when we saw our dentist this week, I was reminded—again—that our dentist certainly does not. So, today I am posting some reasons that I actually like going to the dentist. Yes, really. I do. Stop laughing! 2) She has a fancy coffee bar in her lobby—so no need to swing by Starbucks; I can just visit my dentist. 3) She plays good music—cool music—in her office. 5) She has a soothing, gentle voice, which is matched by gentle, careful hands. Yes, really. 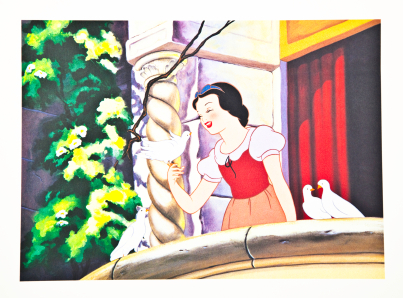 6) There are huge picture windows in each exam room, where you can watch the birds and butterflies that gather around her office—I think she might secretly be Snow White. 7) She calls our daughter “sweet angel” and even if she says this to every kid who comes through, it makes us all feel better somehow. 8) More importantly, she says things like, “Now if you feel any pain at all, let us know, because there’s no need for you to be in any pain.” This is pretty much my motto. For life. 9) She tells us funny stories while we’re in her chair. When we drool—or snot—on ourselves while laughing with a numb mouth, full of instruments, she cleans us up and commences with the next funny story. 10) If you are cold, she will put a blanket over you. 11) If you are scared, she will talk with you. 12) If you ask her, she will pray for you. If you don’t ask her, sometimes she will still pray for you. 14) Finally, on top of all of this, she really knows what she’s doing. Like, really really. She’s half doctor, half artist, for your teeth. Need proof that our dentist is truly outstanding? Well, my husband sees her regularly, when he is firmly against dentists. All dentists. Everywhere. Except for Dr. Snow White. She is a gift to dentistry and humanity, and I just love her. Yes, I LOVE my dentist. Hey! Maybe I should have bumper stickers made for all her patients: Honk if you love your dentist! If you, too, love your dentist, tell him or her! Because dentists get a bad rap. And now for our Superstar Librarian . . .